Today’s most successful local governments need to foster collaboration not just among their people, but among the systems and software that power their administrations. We allow you to work seamlessly and securely, leveraging existing data and reducing information silos so your administrative staff can collaborate efficiently. We enable you to create efficiencies in all areas of your local government, by delivering the tools you need and providing a complete view of every aspect of your municipality from one platform. CP Connect allows local governments to use a variety of convenient channels to capture and respond to citizen needs. Easily incorporate recorded and live videos anywhere on your website—no advanced technical knowledge required. With our built-in, secure, PCI-compliant payment platform, local governments are empowered to accept payments from citizens across their systems, using one payment gateway solution. 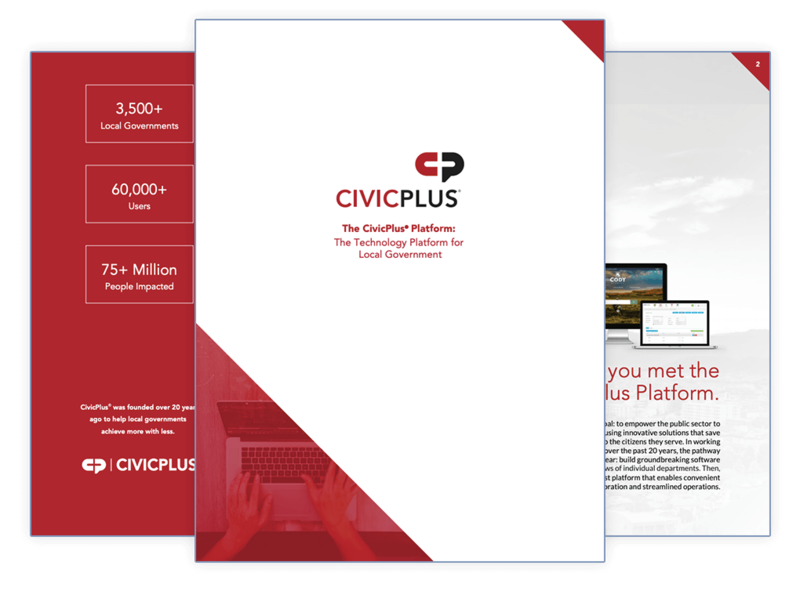 The CivicPlus Platform integrates content, including data, images, and documents that will ultimately be displayed on a variety of digital channels. 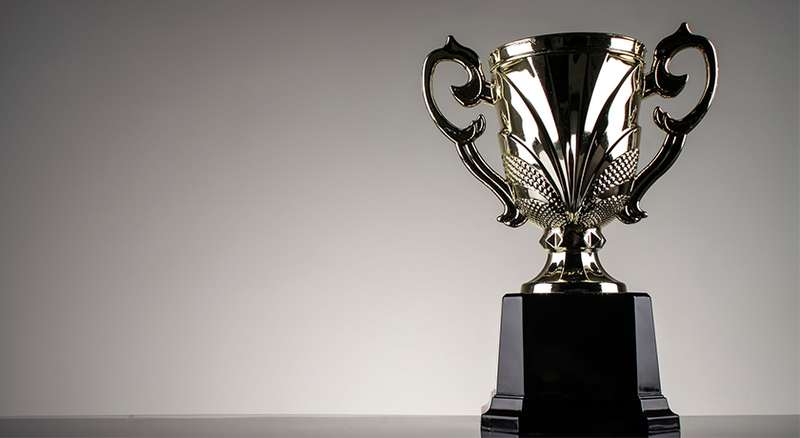 It serves as the foundation for all our department and function-specific unified applications, providing data access, application programming interfaces (API), and content across solutions. 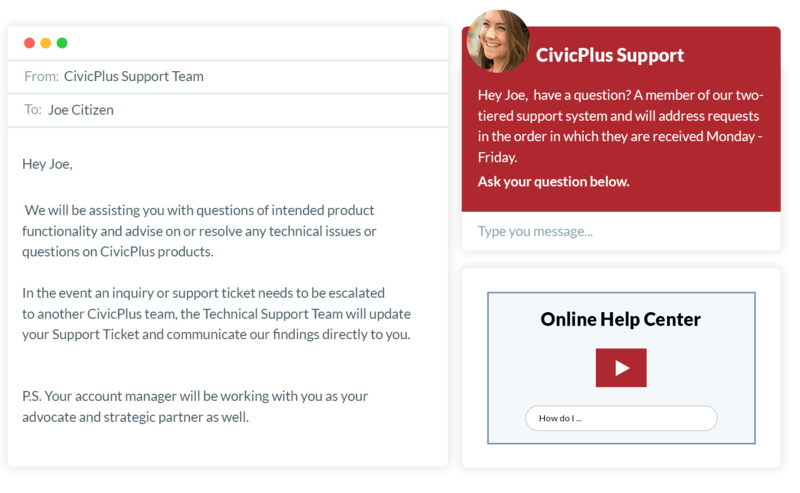 Interested in The CivicPlus Platform? 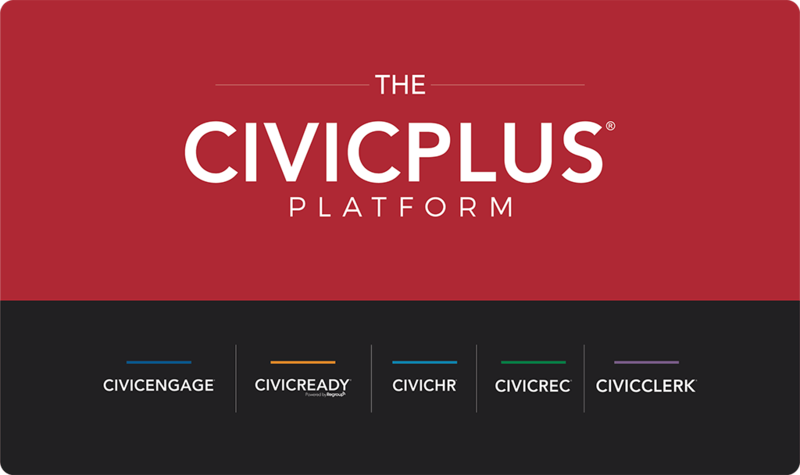 Interested in seeing if the CivicPlus Platform is right for my organization? Fill out your info, and we'll contact you within one business day to discuss your goals.